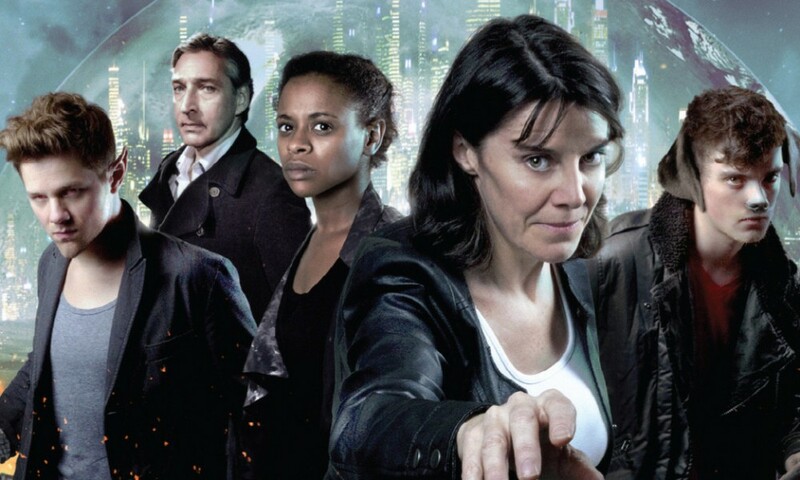 It’s been almost four years since I last listened to a regular Bernice Summerfield audio drama; I left off back in 2014 with 2008’s Beyond the Sea, which relaunched the series off in a new direction. Bernice has fled the Braxiatel Collection with her son Peter, which means a jettisoning of the main body of the recurring cast, and a new set-up of Bernice and Peter moving from job to job, planet to planet, trying to earn a living while staying away from the machinations of Braxiatel. The second episode of the ninth series is The Adolescence of Time, by the New Adventures and Eighth Doctor Adventures writer Lawrence Miles, who previously wrote two Benny novels, Down and Dead Romance, back in 1997 and 1999. Miles’s Doctor Who work is notorious for its strange concepts and offbeat ideas; The Adolescence of Time isn’t as mind-bending as Dead Romance or his Eighth Doctor story Alien Bodies, but it certainly is unexpected. Miles uses the series’s newly loosened focus to go really far afield. Instead of another freelance-Benny-on-a-dig-gone-wrong in the vein of Beyond the Sea, we’re suddenly 65 million years in the past and Benny is nowhere to be heard. The Adolescence of Time firmly puts the focus on Peter Summerfield, who steps into the spotlight for the first time, as he tries to help save a race of sentient pterodactyls. Benny’s time ring (which I think was destroyed or lost in The Grel Escape; it’s been a long time) has pulled Peter into Earth’s prehistory. 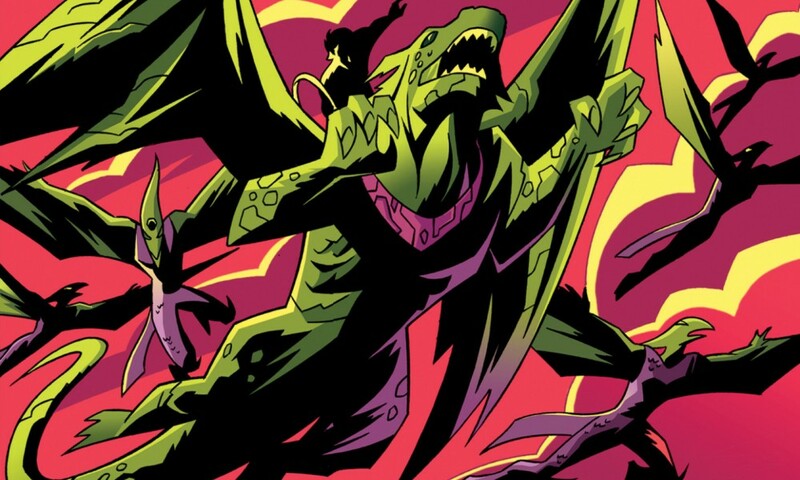 Miles’s story posits a race of sentient flying reptiles on the early Earth, clearly mean to parallel the Silurians on land and the Sea Devils in the ocean. Only the asteroid impact that killed the dinosaurs has had some strange effects on their environment and the civilisation. With Benny gone, Peter is determined to save the day himself. The Adolescence of Time has neat concepts, but as a story, it’s hard to become invested in. It’s one of those Doctor Who-adjacent stories where people with silly names have context-less conversations about concepts you don’t understand. 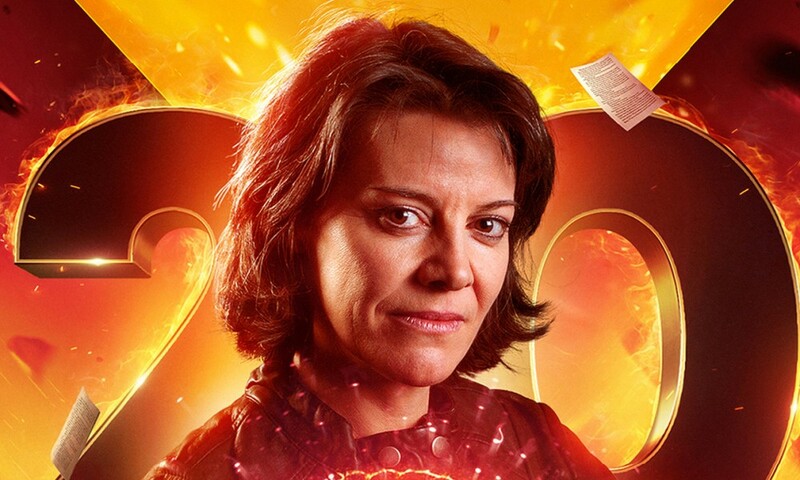 It’s also one of those stories where the limited cast size of Bernice Summerfield becomes too obvious: some writers know how to get around that so as you don’t notice, but here it’s painfully obvious that this planet-spanning civilisation consists of three people and two rooms. I found the story difficult to get invested in, and difficult to follow. What exactly was happening with the weird forces in the planet? I’m not sure. I like the idea of putting Peter front and centre, but Adolescence of Time doesn’t quite pull it off. I don’t know if it’s the acting or the writing, but Peter comes across as a bit too whiny and petulant. We live in a world of young adult protagonists, but the way to make them work is to give them strength beyond their years. Neither the writing nor Thomas Grant’s performance pull this off. Peter is too obviously being set up for a fall when he declares he can save the planet without his mum; I wish there had been more subtlety here, so that you were rooting for him to prove himself. Instead the story seems to be undermining its own protagonist! This is one of the first (I think the second or third) Big Finish production to be directed by Lisa Bowerman; presumably, this was made doable by how little Benny actually appears in the story. Bowerman does her best with a low-energy script, I suspect, but also she would do much better work later on (like her massive Jago & Litefoot collection of work). The real star of the story is Matthew Cochrane on sound design, who has to depict massive battles of aerial predators and does so with aplomb! 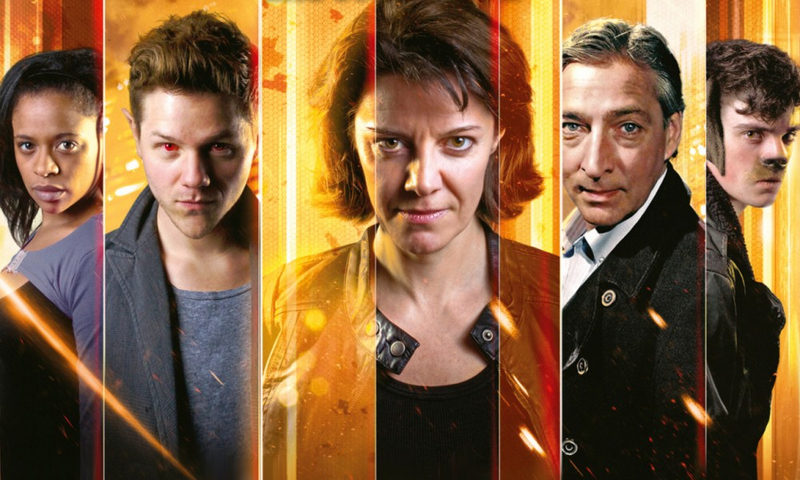 The Adolescence of Time (by Lawrence Miles; starring Lisa Bowerman) was released by Big Finish Productions in August 2008.